1783 – Marie-Henri Beyle is born on January 23 in Grenoble to Chérubin Beyle and Henriette Gagnon. He never feels any affection for the city and instead finds the provincial society boring and stuffy. 1786 – Pauline, his favourite sister is born. They were very close and remained so throughout his life. Letters between the two reveal a warm relationship where Henri plays the role of older brother and advisor. 1788 – Zenaide, his youngest sister in born. Beyle was to be far less close to her than to Pauline. 1790 – Henri’s mother dies when he is only seven. This has an enormous effect on the young Beyle who does not get on well with his father, Chérubin. His affection is transferred to his maternal grandfather, Dr Gagnon, who encourages him to read. 1792 – Chérubin employs l’abbé Raillane, a Jesuit priest to be Henri’s governor. For the next four years he suffers under the ‘Raillane Tyranny. Any belief in God was firmly shaken when his mother died and the four years under the tutelage of Raillane confirm his atheism. 1796 – Henri enters the Ecole Centrale de Grenoble and excels in drawing, literature, and mathematics. He sees this last talent as his ticket to Paris and freedom from the oppression of family and provincial life. 1799 – In October he leaves Grenoble to take the competitive entrance exam to the prestigious Ecole Polytechnique in Paris but when he arrives in Paris he doesn’t attend the exam. After falling sick and with little money he moves in with his cousins, the influential Daru family. Pierre Daru gives him a job in the Ministry of War. 1800 – Aged only 17, he is sent with Pierre Daru to Italy and signs up with Napoleon’s reserve army, taking part in the Italian Campaign. He falls in love with Italy at first sight and this affair continues throughout his life. In Milan, he falls in love will the city, the opera, and Angela Pietragrua. 1801 – He is employed as General Michaud's Aide-de-Camp but hates the army and after falling ill obtains leave to travel back to Grenoble. 1802 – Beyle’s military career is interrupted as he resigns his post and returns to Paris with dreams of becoming ‘a great dramatic bard’: the next Molière. He reads widely and frequents the theatre as often as possible. All his own attempts at writing plays are resounding failures and left in various stages of incompletion. He falls in love with Victorine Mounier. 1803 – In June he returns to Grenoble for nine months. 1804 – In April he goes back to Paris and on the last day of the year meets and falls in love with Melanie Guilbert, a young actress. 1805 – When she moves to Marseille to pursue her career, he follows. Beyle works for Charles Meunier in the export business. His new career and love falter and he decides to return to Paris. 1806 – Beyle is again helped by Pierre Daru and is employed by the imperial household. He travels in Germany to Berlin and Brunswick with Martial Daru (Pierre's brother) and is involved, albeit indirectly, with the Austrian Campaign. 1807-1808 – Beyle spends 1807 and 1808 between Paris and Brunswick. He falls in love with Mina de Griesheim. 1809 – From Paris he travels with Daru to Vienna but illness means that he has no role in the Battle of Wagram. 1810 – Beyle returns to Paris and is named both auditeur au Conseil d’Etat (auditor for the Council of State) and then inspecteur du mobilier et des batiments de la Couronne (Inspector of the Crown’s Property and buildings). 1811 – He has an affair with Angéline Bereyter, a singer with the Opéra-Buffa, and declares his love for Alexandrine Daru, his cousin. She rejects his advances. He leaves for Italy at the end of August. 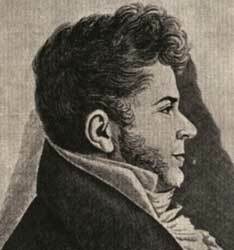 While in Milan he becomes the lover of Angela Pietragua, who he met for the first time in 1800 on the Italian Campaign. She is though to be the principal model for the heroine of la Chartreuse de Parme, the Duchess Sanseverina. In September he visits Bologna, Florence, Rome and Naples. 1812 – Beyle starts work on a History of Painting in Italy. As he knows little about the subject he uses an Italian work of the same name by Luigi Lanzi as a template (Storia Pittorica dell'Italia). In August he travels to Moscow with the army and witnesses the great fire that destroys much of the city. During the speedy retreat from the Russian capital he loses the manuscript of l’Histoire de la Peinture en Italie. 1813 – He spends time in Paris, Milan and Grenoble. 1814 – He writes the Letters on Haydn, Mozart and Metastasio (Lettres sur Haydn, Mozart et Metastase). Much of the content is plagiarized. Cracks begin to appear in his relationship with Angela. 1815 – Letters on Haydn, Mozart and Metastasio is published under the penname of Louis Alexandre Cesar Bombet. Beyle resurrects his History of Italian painting. In Italy when Napoleon is defeated at Waterloo, Henri loses his personal battle and splits with Angela. 1817 – Publication of l'Histoire de la Peinture en Italie under the initials M.B.A.A., and then Rome, Naples et Florence. Although supposedly a travel guide the latter is in fact more a work of political polemic and personal reflection. It is the first of Beyle’s works to be signed ‘Stendhal’.